Easter is a week from Sunday, so you might be buying some jelly beans-- just don&apos;t buy what this survey says is Minnesota&apos;s Favorite Jelly Bean Flavor-- because it&apos;s the worst! And along those same lines, they&apos;ve now released the results of a new survey that run down the favorite jelly bean flavors in each state. 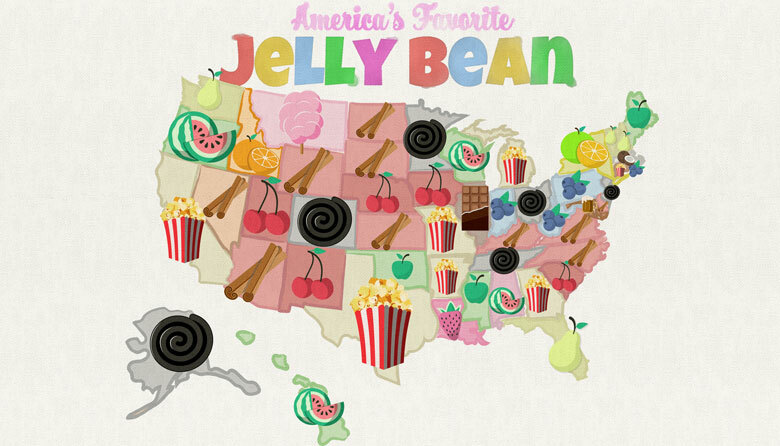 And, let me say right now, that Minnesota&apos;s Favorite Jelly Bean Flavor is... horrible. What is it? That&apos;d be the black licorice jelly bean. Ugh! They&apos;re terrible! I Can&apos;t. Stand. Them! We&apos;re not alone, though. In addition to Minnesota, black licorice is also the favorite jelly bean flavor in Colorado, Alaska, Tennessee, Ohio and New Jersey. Yuck. Our second and third choices are much better, if you ask me-- those being Toasted Coconut and Cinnamon. Maybe the fact that I&apos;m from Wisconsin explains why I don&apos;t like black licorice. In America&apos;s Dairyland, Watermelon is the favorite jelly bean flavor, followed by Juicy Pear and Cotton Candy. In case you&apos;re curious how CandyStore.com came up with these rankings, you can read their entire survey HERE. But we all agree, though, that Black Licorice Jelly Beans are the worst, right?! ?